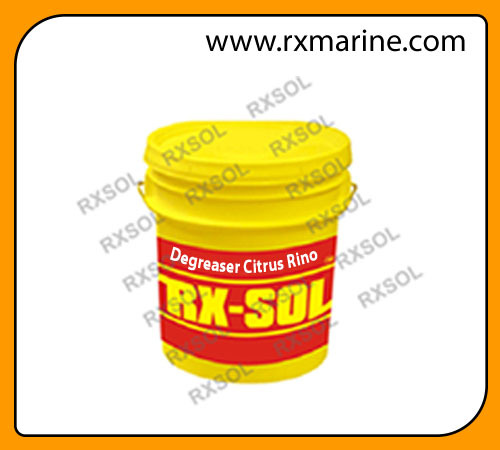 RXSOL-10-1726 citrus degreaser is a new trend setting formulation that keeps pace with today’s safety and environmental regulations. 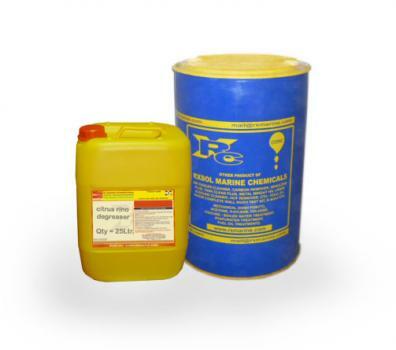 Powerful natural deodoriziers and degreasers are blended to out perform the conventional hazardous solvent degreasers. RXSOL-10-1726 concentrate instantly emulsifies grease, oils and fats without the use of harsh acids, alkali, or petroleum solvents. RXSOL-10-1726 organic extract has an extremely strong natural citrus fragrance to deodorize effectively, even under the worst conditions. RXSOL-10-1726 citrus cleaner has a wide variety of uses indoors and out. 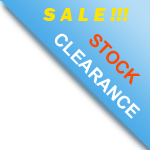 RXSOL-10-1726 will remove most resins, adhesives, printing inks, decals, tar, rubber tire marks and asphalt. 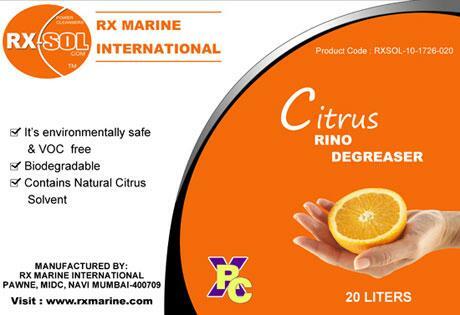 RXSOL-10-1726 also is an effective citrus drain cleaner, deodorizer and maintainer. Rino is a excellent citrus tar remover. For heavy duty cleaning, degreasing and rubber tire mark removal on concrete, dilute RXSOL-10-1726 concentrate 1 to 9 with water until a uniform emulsion is formed. Let stand 2 minutes. Scrub thoroughly and rinse with water. For drain cleaning, use RXSOL-10-1726 straight and pour directly into drain - let stand for 2 hours and flush with hot water. There are currently 0 users and 266 guests online.